I'd given up on activism and thought that resistance to Trump was futile. I was pretty much expecting his atrocious health care bill to pass, that there was nothing the people could do about it, that phone calls and town halls weren't going to help, and there was nothing the Democrats could or would do about it. That last point was the only thing that turned out to be true. The people stopped this bill cold dead, and congressional Democrats simply stayed on the sidelines and watched the show. Apparently, the only member of Congress who had anything to do with helping to organize voters was Bernie Sanders, and he's only an independent who caucuses with the Senate's Democrats. Sanders, who has been helping the Democrats with "outreach" efforts, may have inadvertently proved that the people can form a new party if they so choose. They certainly have the energy. Sanders is now the most popular politician in the country right now, and his efforts at organizing people to help the Democrats may very well end up hurting them. There are calls for a convention to start a new party; the resistance against Trump may lead to just that, meaning that the people are going to have to resist the Democratic Party as well. So where does that leave Martin O'Malley (you knew I was going to bring him up eventually)? It's quite simple, really. With Sanders clearly too old to run for President in 2020, O'Malley should tap into the progressive movement and be ready to jump ship and join whatever new party may emerge if necessary. 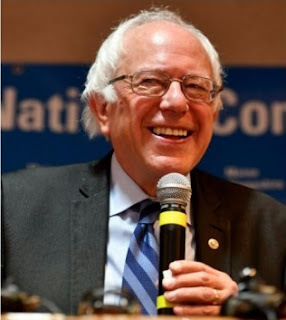 In the meantime, he should keep doing what he's been doing - connect with grass-roots activists, help progressives get elected to local office, and show up at every demonstration for which he's available. He should also keep tabs on the issues, go over policy with aides and advisers, and formulate an agenda to serve as a counterpoint to Trump's - and come up with a strategy to sell it. He already has an idea to reform the Affordable Care Act - an all-payer system, the system used in his home state of Maryland and explained in greater detail in this New Republic article from David Dayen. 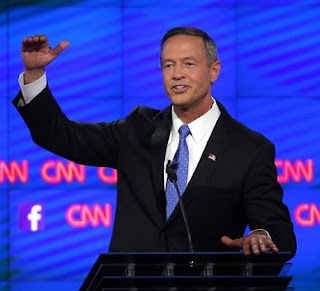 No one is paying attention to O'Malley right now, which may be a good thing. He can spend a lot of time under the radar building a strong foundation for another presidential run. And don't be surprised if he does end up running in 2020 . . . and as something other than a Democrat.